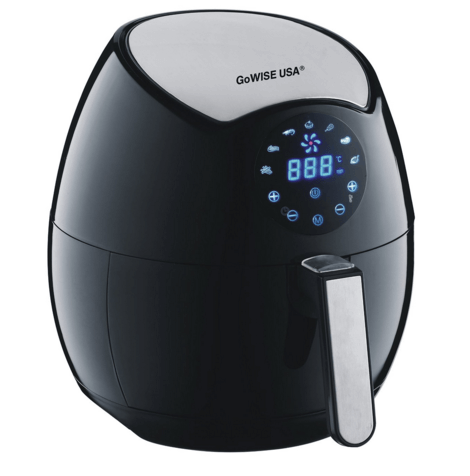 Air fryers are the perfect way to enjoy all your favorite sinful foods guilt-free. The process in which food is cooked with an air fryer provides crunch and flavor without being drenched in heavy oils and fat. There’s a wide array of popular foods that can be cooked in an air fryer, from French fries, chicken wings, spring rolls, fish, shrimp and more. We definitely would recommend having one of these clever gadgets in your household so you can continue to enjoy all your favorites without the unwanted calories. Bonus: you can also reheat food in an air fry in lieu of a microwave! The GoWISE USA GW22621 (On Amazon) has a touch screen feature with 7 built in programs which make cooking your favorites a breeze. There’s an adjustable temperature control, a 30 minute timer and a standby feature which ensures your food stays just the right temperature after it’s done cooking. The Philips HD9220/26 Air fryer (On Amazon) with rapid air technology reduces french fry oil consumption by 70%! It’s easy to clean with dishwasher safe parts and easy to operate. 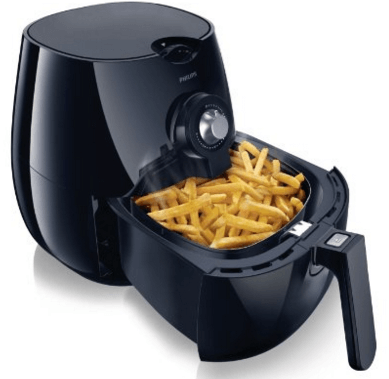 This fryer not only fries but also grills, roasts and bakes! Talk about an all in one! Available in sleek black and classic white. 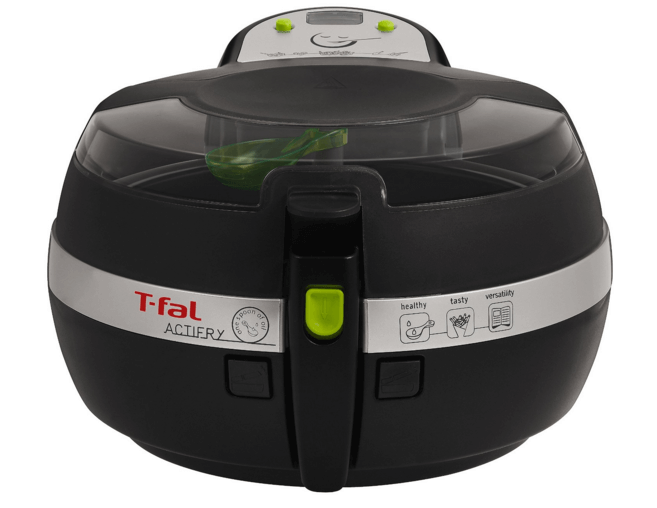 The T-Fal FZ7002 Actifry (On Amazon) wins it for versatility and low fat cooking. This fryer isn’t just for you to enjoy your favorite fried foods prepared more healthful, it’s also great for making risottos, stir-fries, chili, gumbos and more. You can cook a huge array of healthy, low fat meals with this easy to use gadget; a cookbook is even included to provide ideas and inspiration. The lid, paddle, pan and filter are all dishwasher safe which makes cleaning up a breeze. Good advice ! I shared this page on Facebook. Thanks for sharing Leendert. I had no idea air fryers could be so versatile myself!